Are you looking to hire a new snow removal company for your residential or commercial snow plowing and snow removal services this winter? You don’t want to choose a snow removal contractor based on only a good impression as they will only be as good as the services they actually provide. Here are several things you should consider before making the switch. Snow removal equipment should consist of more than a pickup with a plow, especially for commercial snow removal services. Snow fall is unpredictable and varies from one year to the next, this can make it difficult for companies to take on the expense of running the proper equipment. At Terrace Snow Removal we use a variety of equipment to keep our clients properties clear of snow. We have a fleet of trucks equipped with proper snow plows, we use skid steers (bobcats) to push the snow into piles and/or load it into our trailers, these are awesome pieces of equipment for tight parking areas or driveways where a standard snow plow mounted on a truck might not be as efficient or as safe. We have several large dumping trailers that we use to haul the accumulated snow off-site. Our equipment is newer and we have a rigorous maintenance schedule that we adhere to with our equipment to minimize the chance of a breakdown during the busiest times. One of the tactics often used by snow removal companies looking for work is to offer low pricing, compared to competitors. This often leaves the door wide open for charging the client extra for additional work or time to clear the unpredicable amount of snow that may fall. If you’re hiring a snow removal company based on their pricing and pricing alone, you may find yourself in a bind in the middle of winter, when all of the other companies are too busy to take you on. While price is important, you should look the companies capabilities, responsiveness, and ability to stay-on-top of your snow removal needs so you’re not left hanging or scrambling to find a replacement service. 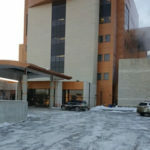 What one company might consider “snow removal” might be different from what another company might consider snow removal. It’s important to be very clear on the scope of work you need to have completed on your property when the snow falls. A good contract and scope of work from a snow removal company will outline exactly what the service entails and when it will be delivered. Where will the snow be piled or will it be removed from site? A thorough and detailed scope of work will help you plan your winter snow removal services and also make communication between yourself and your snow removal contractor clear and succinct. It’s either covered in the scope of work or it isn’t. If you need additional services not covered in the scope of work or you have particular needs that may differ for your property it’s important to discuss these with your snow removal contractor and have them write them into the scope of work. Plowing and removing snow from a commercial property carries risks. It’s important to mitigate those risks by ensuring your snow removal company has proper insurance to work on your property. Because of the cost of insurance there are many smaller companies who may not want to purchase a high level of coverage, instead they rely on “hope”, hoping nothing goes wrong and they won’t need it. You should have a copy of your snow removal companies certificate of insurance so you have proof they have adequate coverage. 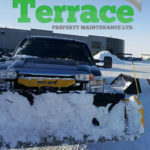 Why Switch To Terrace Snow Removal In Winnipeg, MB? When you choose Terrace Snow Removal for your snow handling needs you are partnering with a local snow removal company with the equipment and infrastructure to handle the needs of commercial property owners and managers. Our snow removal crews operate 24 hours per day 7 days a week during the winter season (November to February) and we have a variety of equipment at our disposal to quickly plow and remove the snow from your property. If you’d like an estimate for commercial snow plowing and snow removal services please call (204) 202-3444 or fill out our contact form and we’ll get right back to you. On Of Our Terrace Snow Plow Trucks and Skid Steer In A Freshly Plowed Parking Lot. Tired of storing a snow blower and shovels in your already packed garage? Don’t want to be bothered with the task of removing snow from your driveway, sidewalks or walkways? Maybe you manage a busy residential development like an apartment or townhome and you need a company you can rely on? Snow removal in a climate like ours can be a monumental task for any homeowner to stay on top of and handle on their own. Maybe it’s time to consider hiring a snow removal contractor that services residential properties? 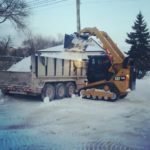 If you are one of the many Winnipeg home owners or residential property managers who will be hiring out your snow removal this year then you’ll find value in this article. Here are several important points you’ll want to consider before you hire anybody. Just because someone has mounted a snow plow on their truck, doesn’t make them qualified to operate it on your property. One of the first questions you should be asking a snow plowing contractor that provides residential services is if they are insured. Snow plows cause thousands of dollars worth of damage to both city and private property every winter in Winnipeg and it’s sometimes hard for the operators to avoid with such deep snow. The problem you want to really avoid is having to go to court in order to get a company to pay for damage to your property because they don’t have proper insurance in place. Good Luck! Working in tighter residential spaces often requires more specialized equipment and careful attention not to damage property such as landscaping, curbs, fencing and other items in close proximity to the area we’re clearing snow from. Skidsteers, shovels and snow blowers are the perfect pieces of equipment to remove snow from a residential property of any size without being too heavy or risking damage to the property. Snow removal services are something you should be planning ahead for because once the season is underway it’s hard for a snow removal contractor to reorganize crews and equipment that are already committed and working. Nobody wants to lose the business, it’s just a matter of we only have so many employees, and so many pieces of equipment and we’re at capacity, so taking on new clients that haven’t really planned ahead or perhaps caught themselves in a bind can be difficult during busy times. For example, if you phone us and need immediate snow removal services during a blizzard for a small residential driveway on the other side of town our crews are currently working, it’s not economically feasible for us to divert those crews onto your property, until we are in your area. This is why it’s critical to call us early, plan ahead, and we’ll help you get a plan in place. Do you have a specific portion of the day you need service such as morning, afternoon or evening? Do you need us there on specific days? While it’s hard to provide that type of flexibility for individual homeowners, we do make these concessions for large townhomes, apartments and other residential developments such as subdivisions that need customized snow removal solutions that work best for their residents. What about emergency snow removal services during periods of heavy snowfall that we can’t predict that far in advance? All of these are important questions that should be asked and if possible get the answers written into your agreement/contract for snow removal if they apply to your situation. Snow Plowing Or Snow Removal? How your snow is handled can greatly affect the cost of your service. Simply plowing the snow out of the way is less costly than actually removing the snow from your property. If you have a property large enough to handle the accumulated snow and we can dump it there then it’s your most economical solution. If the snow must be removed for safety reasons and a lack of space, then there is additional trucking and dumping fees that will apply for it’s disposal. How Are Snow Removal Costs Calculated? Costs for residential snow removal can vary depending on the size of your property, how many employees we need to use, what equipment we’re using, any de-icing services we’re providing or other special considerations that might apply to your property. It’s always best to contact us early in the season so we can come and view your property, assess your specific needs and then we can come up with a snow plowing and snow removal plan that will work for you. * Snow Removal Service Tip: It greatly helps us out when a homeowner who wants snow removal services takes the initiative to organize their nextdoor neighbours for service as well, If we can quickly handle the snow for multiple properties on the same block it saves us a great deal of time because we’re not driving all over the city. The end result is a more affordable snow removal package for your properties. 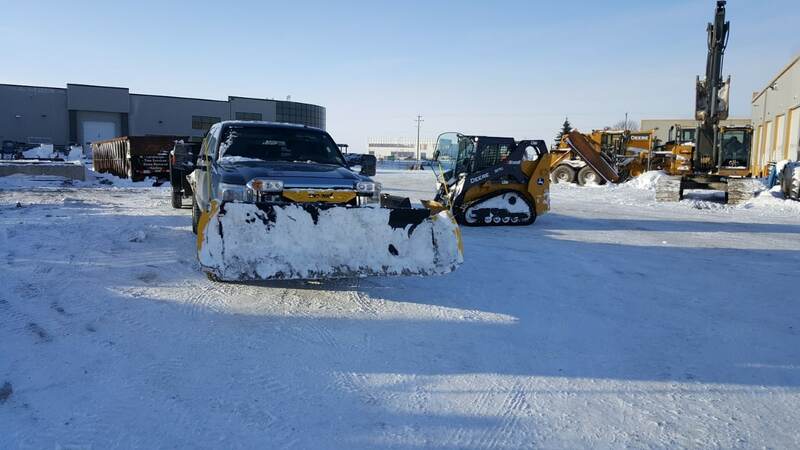 Why Choose Terrace Snow Removal For Snow Handling Services in Winnipeg, MB? 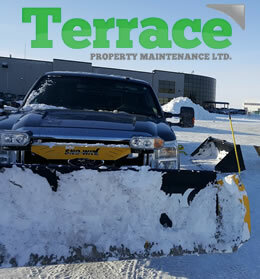 When you choose Terrace Snow Removal to provide snow removal services in Winnipeg you are partnering with a team of professionals who will care for and maintain your property as if it were our own. You can count on great communication, reliable service, and fair prices. Our team takes great pride in the work they do and we listen to the needs of each and every customer as no two properties are alike. You can count on us to safely plow, clear or remove the snow from your property. If you’d like to receive an estimate for snow handling services from Terrace Snow Removal please give us a call (204) 202-3444 or send us an email through our contact form and we’ll get right back to you.